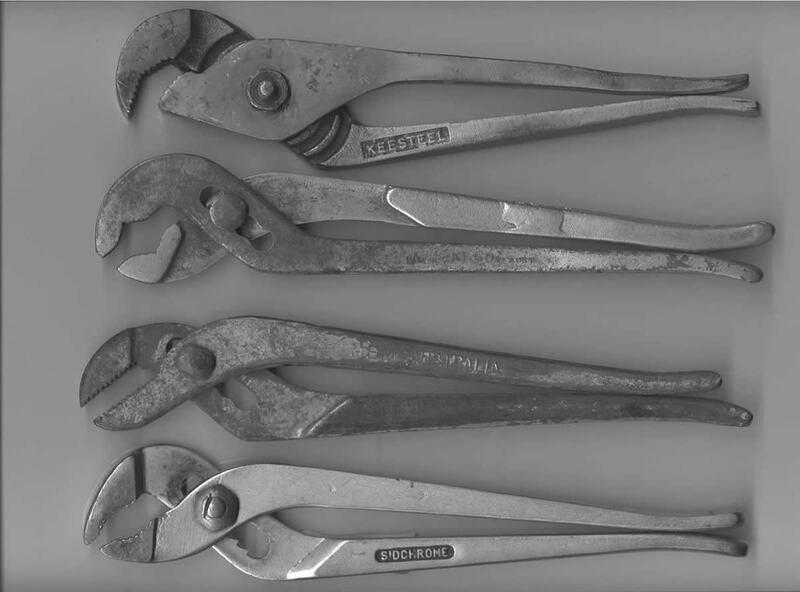 Multi Grips & Locking Wrenches fit somewhere between Adjustable Wrenches and Pliers. They use various mechanisms to control the width of the jaws and have the advantage that they can be adjusted to suit a particular situation allowing one tool to be used for many different sized tasks. 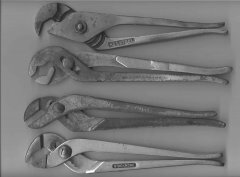 As the name suggests, Locking Wrenches (or Pliers) can be locked onto the nut or other fasteners allowing more freedom by not having to hold it continuously on the item. This feature sometimes means Locking Pliers are used as a substitute for a conventional Clamp. Dowidat Australia No. 145, 10 inches long, (ref G Scells). Fairfax Multigrips, come in 2 versions - straight jaw shown here and square jaw shown in accompanying image. Fairfax Multigrips, come in 2 versions - square jaw shown here and straight jaw shown in accompanying image. "HERCULES" Lock-jaw Wrench by WH Wylie & Co. South Australia. Grip adjustment mechanism controlled by end screw.